Are you in the market for an excellent camcorder for $300 or less? If so, the Panasonic HC-V270 may be just the thing you’re looking for in a camera. Superzoom, high-end image stabilization, built-in Wi-Fi, and a 28mm wide FOV lens are just a few of the features that make the Panasonic HC-V270 such a great camcorder. Additional features include 10-megapixel still image capturing, BSI sensors for recording the highest quality picture possible, and One-Touch NFC connectivity. Easily create crisp, clear footage of memories like family vacations and special events such as your child, or grandchild, at their first day of school and graduation, and more. Panasonic is one of the world’s leading camcorder manufacturers. Each year their equipment keeps on getting better. The Panasonic HC-V270 is no exception. The most recent version of the HC-V270 is a relatively large step up from previous models. One of the most significant upgrades is several built-in Wi-Fi functions. There are now more possibilities with this camcorder than ever before. Parents, or grandparents, can turn their Panasonic HC-V270 into a fully functioning baby-monitor due to the camcorder’s all-new audio-sensor. There is even a built-in two-way communicator which enables whatever you say into your phone to broadcast from the camcorder. Remote View and Remote Shooting are additional functions that are brand new to this line of Panasonic camcorders. Turn your phone into a controller and capture footage from remote locations. You can also access all of the footage stored on your camera entirely remotely via your favorite iOS or Android device as well. Last but not least of the new functions on the Panasonic HC-V270, is the ability to stream live to sites like YouTube or Ustream. The Real-time broadcasting option allows you to record your live footage at the same time. The main features of the Panasonic HC-V270 include a high-powered 50x optical zoom, 90x intelligent zoom, and a digital zoom of 150x to 3000x. A manual focus, as well as electrically powered autofocus. 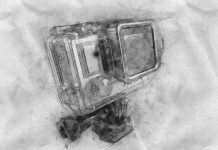 2.51MP total pixels, with 2.20MP effective pixels for capturing still or motion images, and a BSI MOS Sensor. Additional features include a 2CH stereo zoom for the built-in microphone, a dynamic speaker, and jacks for both mic and headphones. There is no built-in memory. However, there is a 2.0 high-speed USB port and slots for SD, SDHC, and SDXC memory cards. The Panasonic HC-V270 also has a 2.7-inch full touchscreen LCD monitor, an LED light for recording, and of course, built-in Wi-Fi with NFC. Dimensions of this camcorder are 2.3 inches in height, 2.1 inches of width, and a 4.6-inch depth. The weight is approximately one half of a pound. The Panasonic HC-V270 falls into the $300 and under price range. It can be purchased new through Amazon. They are also available on Amazon used for a few dollars less. Other online retailers such as eBay and Best Buy sell them as well. However, they seem to be hard to keep in stock. How Does The Panasonic HC-V270 Compare to Other Brands? It’s true that Panasonic is one of the most trusted names in the industry. That said, however, they are not the only show in town. So, how exactly does the Panasonic HC-V270 measure up to other camcorders of the same class and price range? 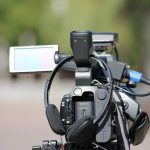 To find out, let’s take a comparative look at some camcorders from other reputable brand names like Samsung, Sony, and Canon.For the sake of this article, we selected three highly popular products of the brands mentioned above; the Samsung F90, the Sony HDRCX405, and the Canon VIXIA HF R700. We then compared features, how easy they are to operate, their assembly time, the overall quality of their components, available warranty options and of course prices. The F90 by Samsung is a powerful camera with a price tag of less than $300, highly comparable to the Panasonic HC-V270. With 720p resolution, it is capable of capturing HD video footage, though less high-quality than the Panasonic. Also, It has a 52x optical zoom and CMOS optical sensor for recording distant objects with no lack of precise details. A much lower zoom rate than the HC-V270. The F90 has the same size LCD screen like the Panasonic as well. This Samsung F90 is available via Amazon and has a current rating of 4 out of 5 stars based on customer reviews. The first thing we noticed about the HDRCX405 from Sony is that its 30x optical zoom rate was less than half that of the Panasonic HC-V270. On the flip side, its 1080p resolution capability for high-quality HD footage is very comparable, as well as having the same size display menu. 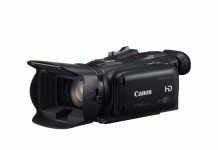 Also, like the HV-270, the HDRCX405 comes equipped with CMOS sensor which promotes high-end image stabilization, especially while zooming in on distant moving objects. The Sony HDRCX405 is available via Amazon and currently has a rating of 3.9 out of 5 stars based on customer reviews. The VIXIA HF R700 is an impressive camera in a small package. 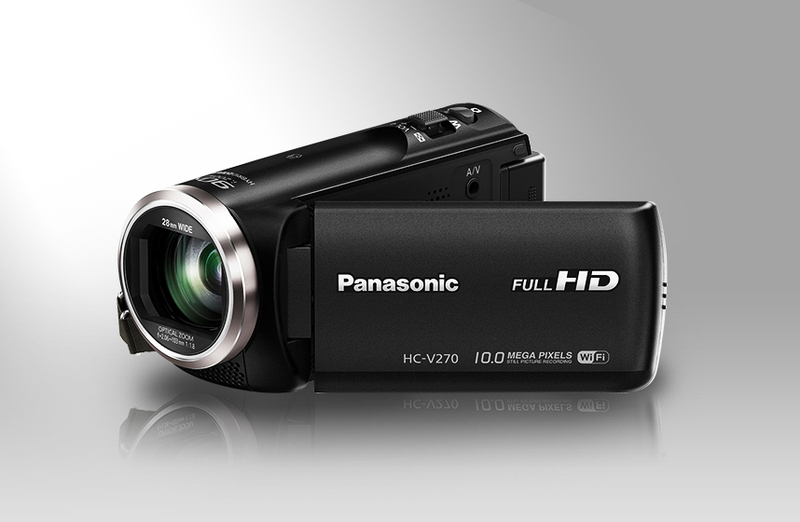 As with the Sony HDRCX405, and the Panasonic HC-V270, it is capable of recording video at 1080p HD resolution. It has no built-in storage. However, it does support SD memory cards. Also similar to the Panasonic, although, the HC-V270 offered more diverse storage options. The HF R700 has a large screen, at three inches, which promotes the smooth operation of its operator interface. And as with the Panasonic and Sony, it is also equipped with a CMOS optical sensor and image stabilization. The Canon VIXIA HF R700 is available via Amazon and has a rating of 4.3 out of 5 stars based on customer reviews. Also, feel free to check out our recent article on this product! The main advantages of the Panasonic HC-V270 are the all new Wi-Fi features including remote shooting, remote viewing, live broadcasting, and the ability to double as a baby monitor and two-way speaker. 1080p video resolution, a more extensive than average zoom range, and CMOS sensor for optical image stabilization. And of course, all of these features are made even better by the more than reasonable low price of under $300. The most significant drawbacks that we found with this particular camcorder were that it has no built-in memory. Everything else about it either meets or easily exceeds other cameras within the same class and price range. Also, one could say that Panasonic didn’t put enough time into developing new features for this camera, as it is primarily an HC-V250 with new built-in Wi-Fi function. Panasonic continues to prove exactly how they’ve come to be such a dominating force in the industry. Even their most basic entry-level camcorders, such as the Panasonic HC-V270 and HC-250, completely blow away the competition, as well as to remind us why our smartphones are better for making texts and calls than for making videos. 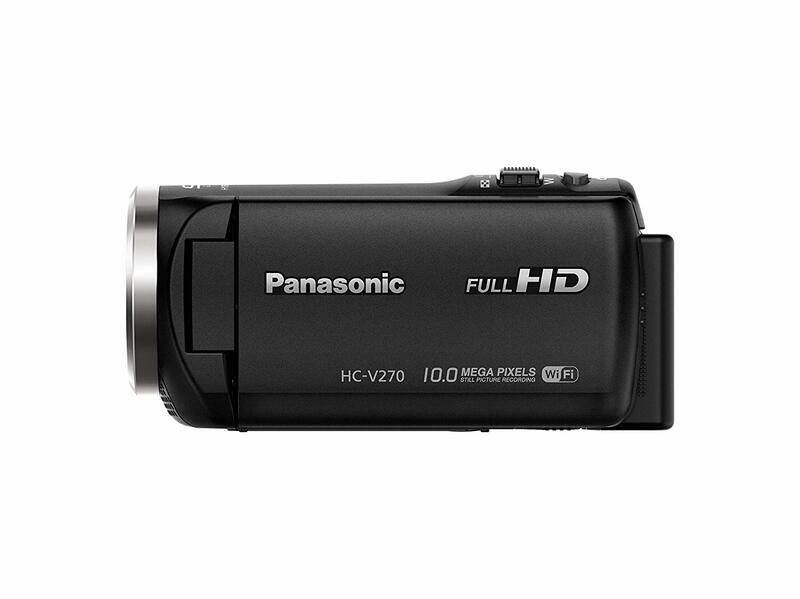 We believe the Panasonic HC-V270 is one of the best bargain-priced camcorders currently available on the market. 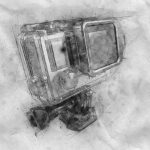 You get all the most significant features of more expensive cameras, such as a CMOS sensor, advanced Wi-Fi functions and HD resolution at a very affordable price. For all of these reasons and more. 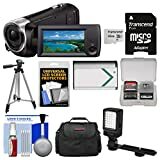 Because all this camcorder is missing is a built-in memory, which is more than made up for with its compatibility with multiple memory card types, we have given the Panasonic HC-V270 a 4.5 out of 5-star rating. 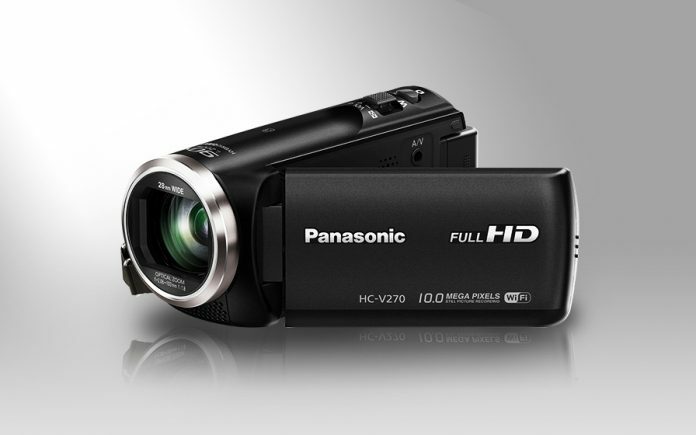 Do you own a Panasonic HC-V270 or another camcorder in the same price range? Did you feel that our review was fair or unfair? We want to know what you think! Please feel free to drop us a comment below. The Panasonic HC-V270 is the best bargained-price camcorder in the market today. It is very easy to operate that even beginners or kids will have no trouble using. It is made by one of the leading brands in the industry so you are assured of its quality. 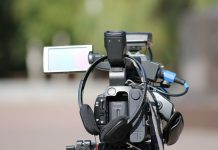 Though the camcorder is missing a built-in memory, it compensates with its compatibility with many types of memory card.